Seth Siegelaub produceerde aan het einde van de jaren zestig enkele catalogi die zowel het kunstwerk als de tentoonstelling vervingen. De catalogus, die normaal informatie verschaft over het kunstwerk en de tentoonstelling, werd zelf primaire informatie. De publiciteit verdrong het object en werd dus doel op zich. From 1964 to 1966, Siegelaub had a conventional art gallery in New York, showing the work of several younger artists. However, about 1968 Siegelaub changed his practice and began to work mainly with a small group of artists since known as conceptual artists. 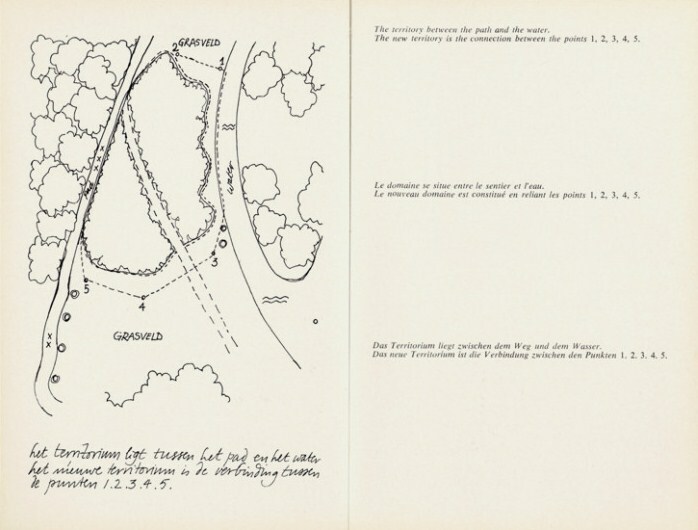 Siegelaub's innovative use of the exhibition catalogue was yet another twist to this story. For three different group shows - in January, March, and July 1969 - Siegelaub published catalogues that largely constituted the exhibitions. 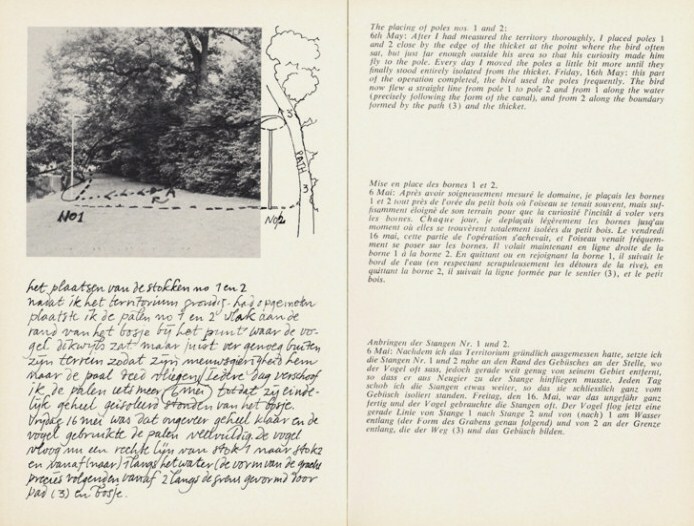 In the first, January 5 -31, 1969, three-quarters of the works were shown in the catalogue and not in the space. In the second, [One Month] 1969 March 1969, only verbal works were solicited. And in the third, July, August, September 1969, the actual locations of the works on exhibit were scattered over North America and Europe. 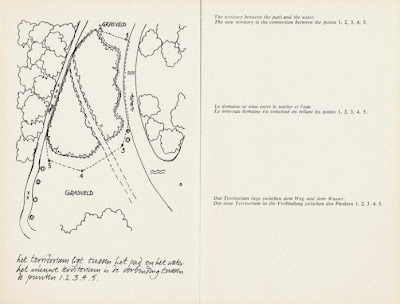 Siegelaub recalled, 'The catalogue, which served to 'document' [the art], was not referring to an (art) object which existed outside of it, but could be simply another aspect of the work, or even the art work itself.' Earlier he had stated, 'The art that I am interested in can be communicated with books and catalogues. When art does not any longer depend upon its physical presence, when it has become an abstraction, it is not distorted and altered by its representation in books and catalogues. It becomes primary information, while the reproduction of conventional art in books and catalogues is necessarily secondary information. In the January 1969 show the catalogue was primary and the physical exhibition was auxiliary to it (bron: Galerie van Gelder). 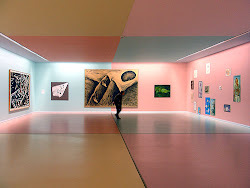 De conceptuele kunstenaars Carl Andre, Robert Barry, Daniel Buren, Jan Dibbets, Douglas Huebler, Joseph Kosuth, Sol Lewitt, Richard Long, N.E. 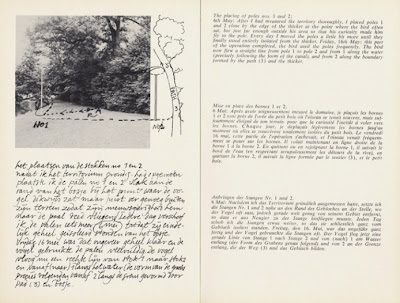 Thing Co. Ltd., Robert Smithson en Lawrence Weiner werd door Siegelaub gevraagd om in 1969 tussen de maanden juli en september in verschillende delen van de wereld een werk te maken. In de tentoonstellingscatalogus July, August, September 1969 (New York 1969) worden deze bijdragen tentoongesteld en deze catalogus kan daarom als een kunstenaarsboek worden beschouwd. De bijdrage van Dibbets is een reisprogramma van een tocht vanaf Den Helder langs de vijf Waddeneilanden. Het werk wordt voorzien van zes foto's van de waddenzee, een landkaart met daarop ook aangegeven de plaatsen waar de foto's zijn gemaat en een reisschema. "The work is a trip only to be traveled. All other specific information is contained in the work itself". 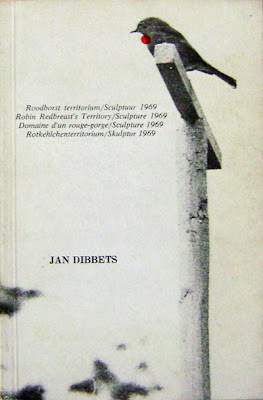 Hiermee ging Dibbets van land art en arte povera de kant op van de conceptuele kunst.